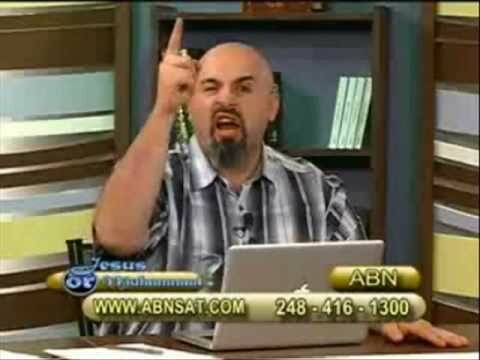 Refutation: Is Jesus God because he did mighty miracles? Some Christians believe that Jesus’ miracles prove that he is God. The problem with this claim is that almost every single miracle performed by Jesus finds a parallel within the OT. There are many OT prophets that performed the very same kinds of miracles that Jesus did. If the miracles of Jesus make him God then why don’t the miracles of the other prophets prove that they are God/gods as well? Thus, the miracles do not make Jesus God, but rather it is Jesus’ own claims which demonstrate that he at least believed he is God. The miracles only served the purpose of providing divine validation for Christ’s claims. Christ is God because of what he says. Miracles add validity to his claim of being a deity. If Christ says he is a God. Then miracles add credence to his claim. Fellow Israelites, listen to this: Jesus of Nazareth was a man accredited by God to you by miracles, wonders and signs, which God did among you through him, as you yourselves know. – Acts 2:22. By myself I can do nothing; I judge only as I hear, and my judgment is just, for I seek not to please myself but him who sent me. – John 5:30. Jesus told someone that there sins were forgiven because the Father forgave the person. Jesus was called the Son of God (a title given to many throughout the OT and NT), and his hand was licked like a dog licking its master’s hand (the word used for worship is ‘προσκυνέω’ – Strong’s Lexicon, G4352, ‘From G4314 and probably a derivative of G2965 (meaning to kiss, like a dog licking his master’s hand)’. Jesus brings life to those who are spiritually dead, he will ‘resurrect’ their spirituality. The Father has sent Christ to do works in His name. No prophet or apostle ever made the claims that the Lord Jesus made, and none of their miracles were done to validate their claims of being Deity. The prophets went out of their to show that they were nothing more than fallible human beings whom God empowered to carry out his specific purpose and will. This is quite unlike the Lord Jesus. Believe in the light while you have the light, so that you may become children of light.” When he had finished speaking, Jesus left and hid himself from them. – John 12:36. When Jesus had finished saying these things, the crowds were amazed at his teaching, because he taught as one who had authority, and not as their teachers of the law. – Matthew 7:29. The Quran mentions many of the miracles of the prophets but fails to record a single miracle of Muhammad. The last passage expressly states that the Quran is sufficient as a sign, which means that no other sign or miracle was necessary. Thus, this surah poses huge problems for Muslims since if Muhammad did perform miracles then this means that the Quran is not sufficient, thereby falsifying the claims of the Quran! Therefore, in order to keep me from becoming conceited, I was given a thorn in my flesh, a messenger of Satan, to torment me. Three times I pleaded with the Lord to take it away from me. But he said to me, “My grace is sufficient for you, for my power is made perfect in weakness.” – 2 Corinthians 12:7-9. The people of ahlul suffah (companions of the rows) used to dedicate their whole lives just to record and propagate the teachings of Islam during the time of prophet Muhammad (peace be upon him). Many companions such as Uthman, Ali, Umar and others memorized not only the sayings of prophet Muhammad (peace be upon him) but also the whole Quran. The knowledge they preserved was passed on in the forms of books through a very stringent system that involved different levels of information delivery such as Sama’ (teacher reading to student), Ardh(student reading to teacher), Munawala (hading someone a text and allowing transmission), Kitaba (a form of correspondence), and Wasiyya (entrusting someone with knowledge to be delivered). These are just a few examples of the strict methods taken by Muslims to preserve information and the early stage in which such began being implemented. Now we turn our attention to the proofs of the documentation of the Sunnah of prophet Muhammad (peace be upon him) during his time. “Write from me, for by the One Who has my soul in His hand, nothing other than the truth has ever come out of my mouth”. The same Abdullah ibn Amr ibn Al As’s collected the book called Al-Sahefah As-Sadiqah. This is a book that contained many ahdith of the prophet Muhammad (peace be upon him) and was spread amongst the companions and later generations. The Sahefah of Abu Hurayrah, which was proliferated by his student Hammam ibn Munabbih, that has survived till today and was published by Dr. Hamidullah. It is without a doubt that there is sufficient information in the history of Islam to show that the Sunnah of prophet Muhammad (peace be upon him) was recorded and passed on with his permission and during his lifetime. Those who say that the Sunnah was recorded only centuries after prophet Muhammad during the time of Bukhari and Muslim are far away from the historical proofs that are widely available, wishing only to escape the strict security measures that were divinely implemented in guarding not only the Quran and the Sunnah, but also Islam as a way of life. After the death of Muhammad (peace be upon him), his companions took an even stricter approach in preserving and reporting the Sunnah. In this period, a number of leading companions wrote down narrations and preserved them. Abu Hurayrah to whom 5374 channels of hadith are attributed, had many books in his possession as reported by Hasan ibn Amr ad-Damari. Abdullah ibn Abbas to whom 1600 channels of narrations are attributed used to write whatever he heard and used to hire his servants to write ahadith for him. Abdullah ibn Amr ibn Al Aas to whom 700 channels of narration are attributed recorded ahadith in his Sahefah, while Abu Bakr was also amongst those who used to possess written copies of the Sunnah of prophet Muhammad (peace be upon him). After the companions of prophet Muhammad (peace be upon him), their students passed on the knowledge to their students. Abu Hurairah had nine students writing down from him, Ibn Umar had eight, Anas had sixteen, Aisha had three, ibn Abbas had nine, Jabir had fourteen, and others did the same as well. The time in history is known as the era of the Tabi’oon and in this era the science of gathering ahadith became stricter, as people began inventing ahadith. It is very important to highlight here the fact that fabrication was discovered and dealt with. This shows the strict nature of the system and the strong filters it had for innovations and lies. Under the reign of Umar ibn Abdul Azeez the scholars compiled books of ahadith containing biographical data on the various narrators of ahadith, exposing the liars and fabricators. The hadith proliferation spread with such a great strength and precise science that the science began influencing the other branches of Islamic knowledge such as Aqeedah, Fiq and other. The people would not accept the authority of any teacher of any subject, unless he or she would possess the unbroken link till prophet Muhammad (peace be upon him) coupled with the reliability criteria for that person in question. The collection of ahadith and knowledge was so intense and serious that some would not wait for the ahadith to reach them but they would travel for long periods of time to hear and verify ahadith. Jabir ibn Abdullah heard of a hadith and traveled on a mount that he had purchased, and after one moth of travel he gathered the hadith and returned back. The same happened to Abu Ayoob al Ansari. The sciences have only intensified and crystallized as time advanced and following the ear of the companions, the followers and their followers came the ear of the Saheehs, which was the pinnacle of hadith sciences. within his family for a long time. All of it can be found in the Musnad of Imaam Ahmad (rahimahullaah). This is attributed to Humaam Ibn Munabbeh (rahimahullaah) (d.101H). He was from the famous students of Abu Hurairah (radi-Allaahu ‘anhu); he wrote all the ahaadeeth from his teacher. Copies of this manuscript are available from libraries in Berlin (Germany) and Damascus (Syria); Imaam Ahmad Ibn Hanbal (rahimahullaah) has categorised all of this Saaheefa in his Musnad, under Abu Hurairah (radi-Allaahu ‘anhu).6 This treatise, after considerable effort by Dr. Hameedullaah, has been printed and distributed from Hyderabad (Deccan). It contains 138 narrations. This Saaheefa is a part of the ahaadeeth narrated from Abu Hurairah, most of its narration’s are in Bukhaaree and Muslim; the words of the ahaadeeth are extremely similar and there are no major differences between them. He knew how to read and write from the time of Jahiliyyah. 5 See Mukhtasar Jaami Bayaan al-Ilm (pp. 36-37). 6 For further details see Saaheefa Humaam of Dr. Hameedullaah and Musnad Ahmad (2/312-318). Prophecy: Arabs competing to build skyscrapers. Neither shaken nor stirred: The Qur’aan and Science on Alcohol Consumption. Prophecy: Return of the Khilafa. Miracle: The Best Opportunity to Destroy Islam. Ergo, Sam Shamoun has been duly debunked, his incompetence demonstrated and his dishonesty made public. He has thus far, failed to answer the question, abused his own logic, and lied against common ahadith knowledge. His attempts to deceive and pervert basic historical information have been shown to be infantile, and I must conclude that Sam’s arguments have been thoroughly reduced to nothing more than an ignorant’s rants.